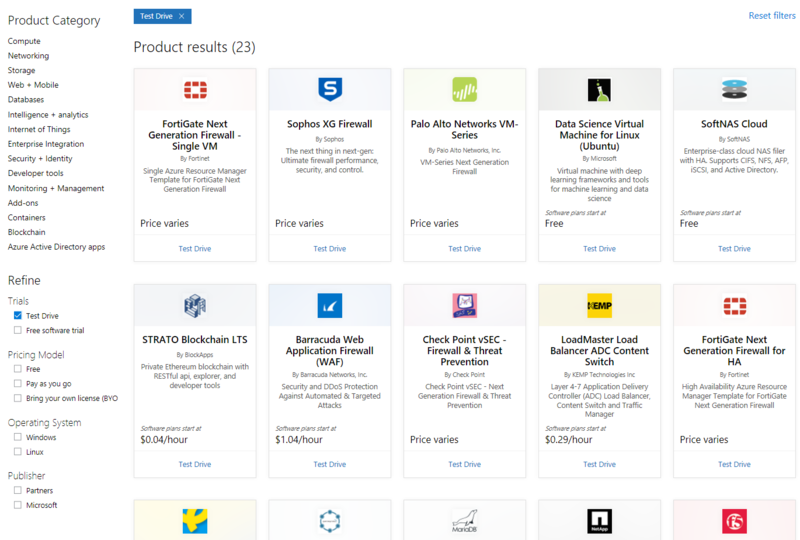 Test Drives are ready to go environments that allow you to experience a product for free without needing an Azure subscription. An additional benefit with a Test Drive is that it is pre-provisioned - you don’t have to download, set up or configure the product and can instead spend your time on evaluating the user experience, key features, and benefits of the product. Once you complete the form, your Test Drive will start deploying and in a few minutes you will get an email notification that the environment is ready. Just follow instructions in the email, and you will be able to access a fully provisioned and ready to use environment. Once provisioned, the Test Drive will be available for a limited time, typically a few hours. After the Test Drive is over, you will receive an email with the instructions to purchase or continue using the product. As you start thinking about your next DevOps tool or Web application firewall, consider using Test Drives. It is easy, free, and the hands-on experience will help you make the right decision.